Veal and Shrimp dinner at Scampi Grill. The enticing scent of a true Italian restaurant featuring beautifully prepared dishes is apparent from the moment you open the door to Scampi Grill in Vero Beach. Scampi Grill features multi-regional Italian food, so you’ll find dishes from Sicily, northern Italy and everywhere in between. They also offer vegetarian meals and non-Italian dishes. Each dish is a mouthwatering work of art. Scampi Grill features multi-regional Italian food, so you’ll find dishes from Sicily, northern Italy and everywhere in between. 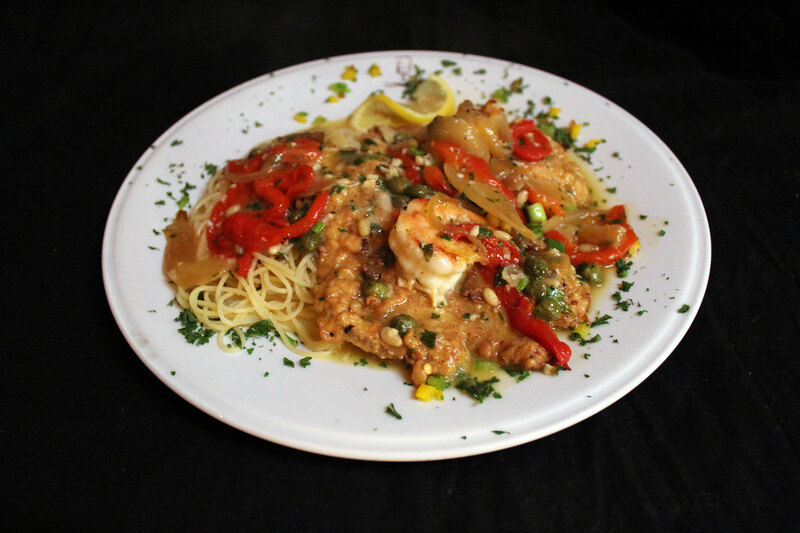 Enjoy the veal and shrimp ala Scampi with its jumbo shrimp, or the chicken limon, chicken topped with lump crab meat. Or try the colorful chicken Mediterranean. The baked eggplant stuffed with imported ricotta cheese will appeal to vegetarians. Diners who visit the grill will be happy to know they can eat outside on the covered patio if they wish. It is also available for private parties. The location is excellent and easy to get to in the heart of downtown Vero Beach. “We’re very happy to be chosen for the honor of being the Best Italian Restaurant on the Treasure Coast,” Amelio says. "Authentic and delicious food in a romantic setting." 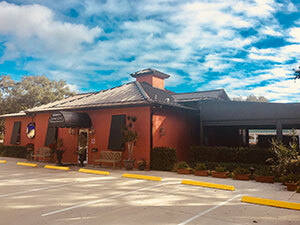 "A nice selection of Italian favorites carefully prepared, and a good Italian wine selection."